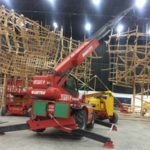 Our camera platform attachment has been a hit on local film sets because of its ability to lift a movie camera high over a scene. 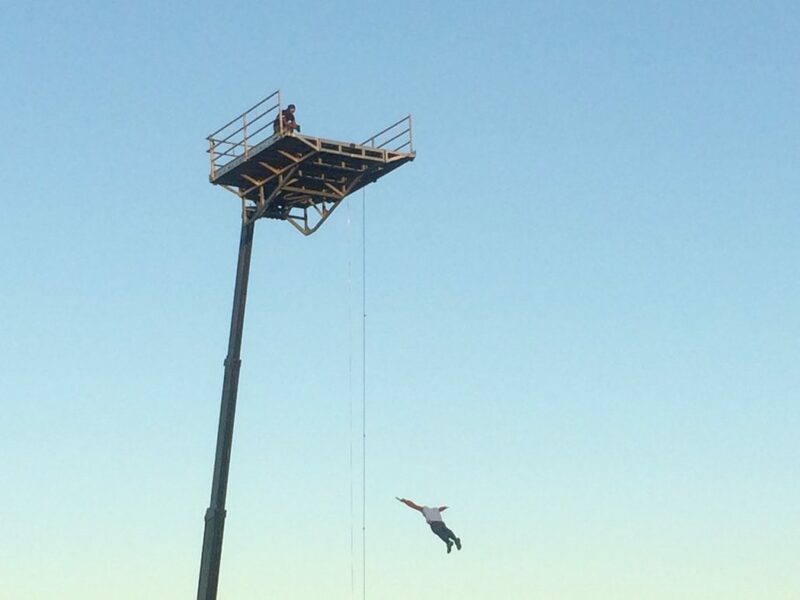 But we’ve also found another great use for it – as a stunt dive platform on film sets. 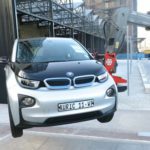 Our mobile cranes can lift the platform as high as 30 metres, giving a really spectacular jump. 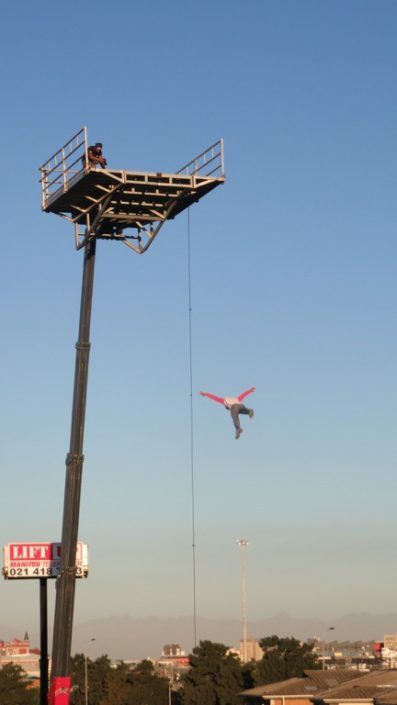 Stunt dives and swings can also be enabled using a trapeze attachment. 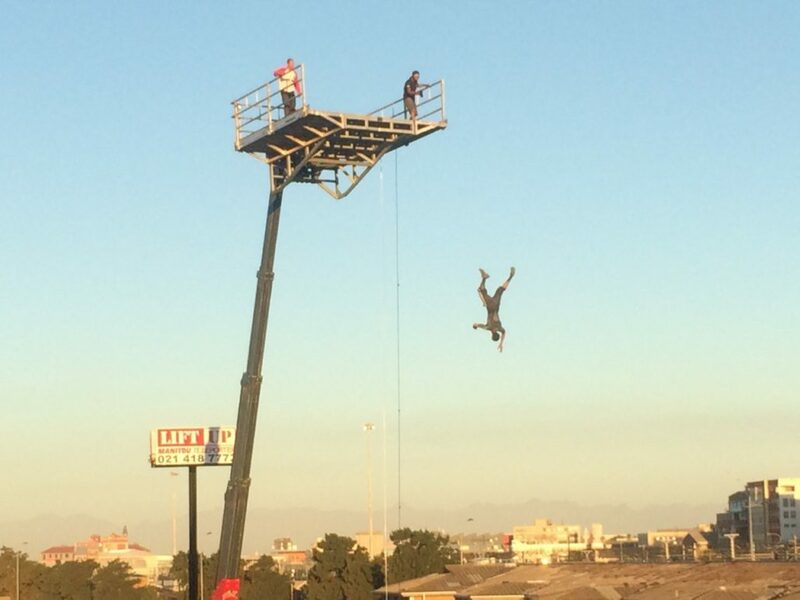 The images below show a recent stunt jump for a film shoot. 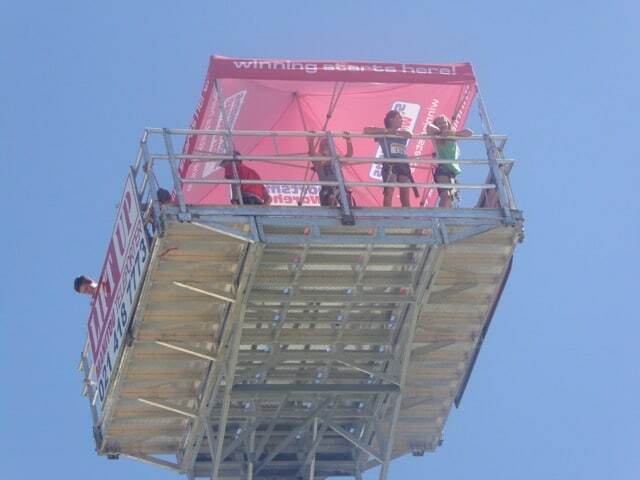 They also show the platform being used as a “ride in the sky” at a funfair. 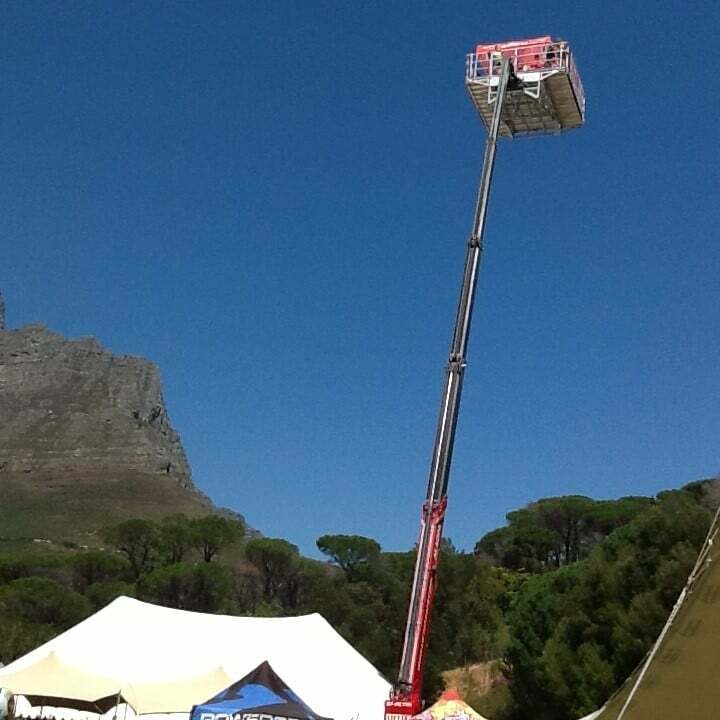 Want to hire the camera platform and mobile crane in Cape Town or anywhere in the Western Cape? Give us a call.